Have a Iook at the climate events from an astronaut’s point of view! 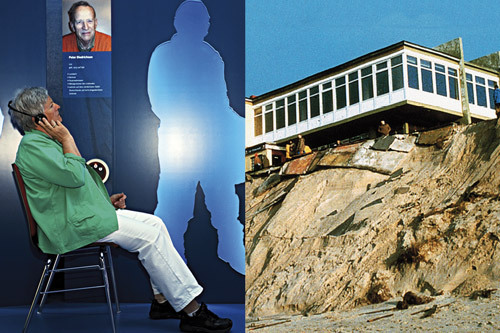 Be informed by our Iocal eyewitnesses with their experiences and knowledge about historical storms and storm floods! 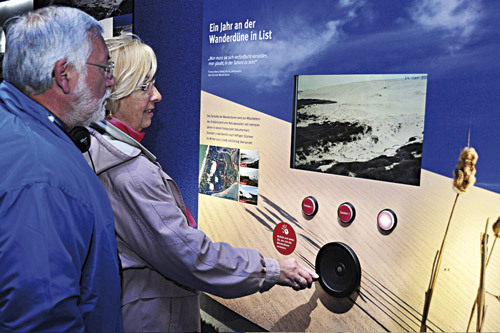 Experience the phenomenon of Germanys largest migrating dune in the north of Sylt! Let us take you into the world of the forces of nature! Discover, be amazed, have fun! Our multimedia concept will make it happen for you. … over 1 500 m² to explore! 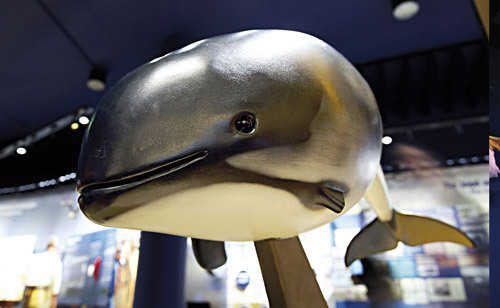 Here at »Erlebniszentrum Naturgewalten« we show you the small and big wonders regarding climate, weather, climate research and life with the forces of nature and power of the North Sea. 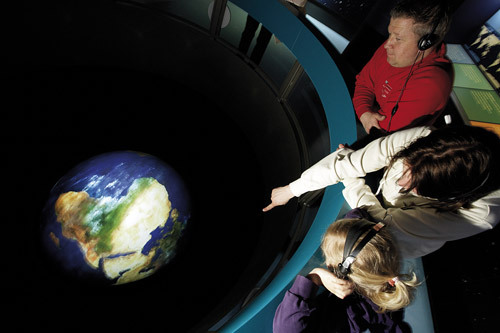 In our adventure rooms young and old explorers are shown how exciting nature can be in understandable and hand-on ways! Our audiotracks are available in German, Danish and English. See how the rise of the global sea Ievel changes the coastlines of our continents and what consequences this has for Sylt and mankind itself! 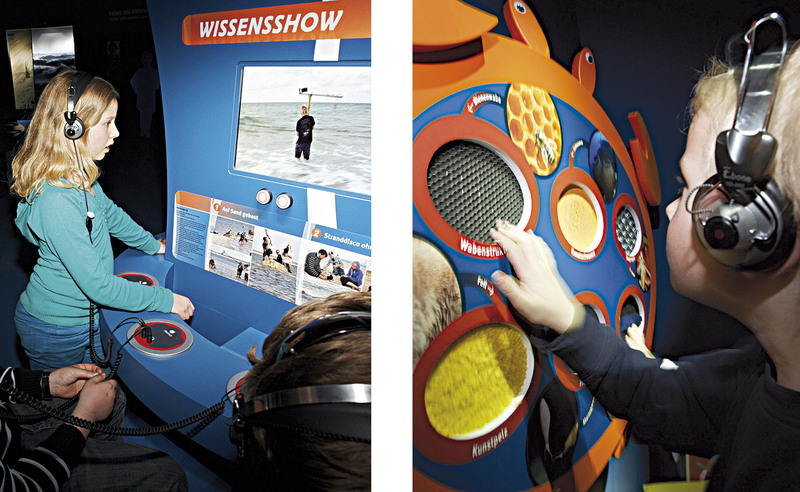 Dip into the world of seals and whales and observe within the wadden Sea tunnel how mussels and crabs light for survival at the bottom of the sea! 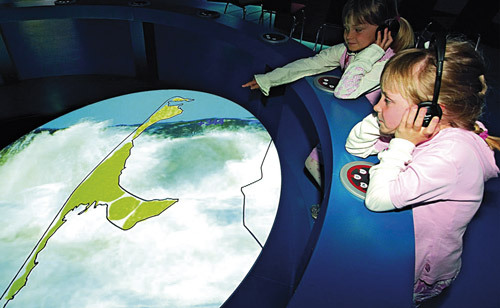 Special youth exhibits make playful understanding possible. Information about combi-tickets for the Sylt-Rømø ferry, the Adler ships and local bus service (SVG) can be found on our website. The »Erlebniszentrum Naturgewalten« opens daily between 1o:oo and 18:oo. In July and August we stay open until 19:oo.